.... and definitive mounted. 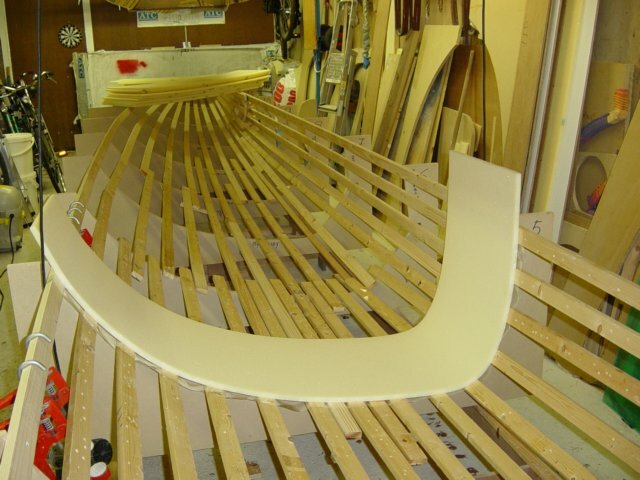 Notice the nice fit on every batten, thanks to the fine thermoforming qualities of the CoreCell foam. This time I use the sellotape under the joints again so I can use enough epoxy bog without being afraid that it will stick to the battens. Last time I used a poor bog for this reason, which was not a good idea due to the desired airtightness of the shell.